Guitar virtuoso Gus G., well known in rock and metal circles for his work as Ozzy Osbourne's guitarist and as leader of his own band FIREWIND, was recently interviewed by U.K.'s PlanetMosh. You can now listen to the chat using the audio player below. 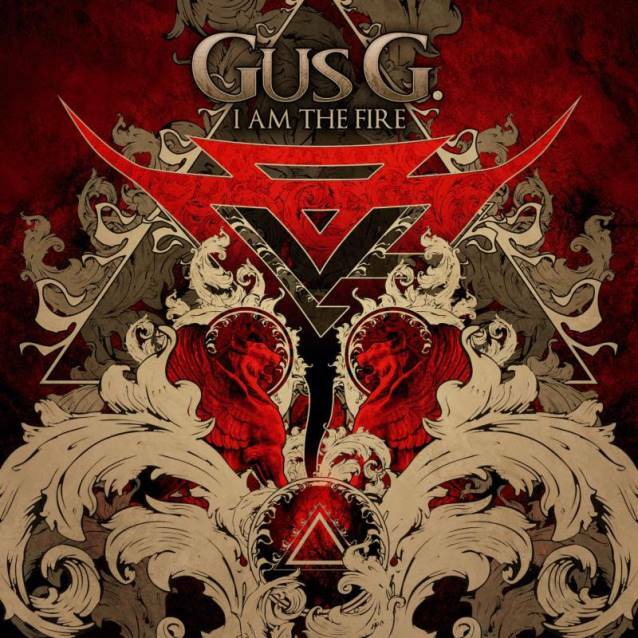 Gus G. has set a March 18 release date for his debut solo album, "I Am The Fire", in North America. The CD will be released internationally on Century Media Records, and will come out March 17 in Europe. An EPK (Electronic Press Kit) for "I Am The Fire" can be seen below. The cover artwork, pictured below, was designed by Gustavo Sazes (ARCH ENEMY, KAMELOT, DREAM EVIL). A first song from the album can now be heard via the video for the album's opening track, "My Will Be Done" (featuring Mats Levén), which was produced by Patric Ullaeus of Revolver Film Company, who has previously worked with DIMMU BORGIR, LACUNA COIL, IN FLAMES, SONIC SYNDICATE and KAMELOT, among others. 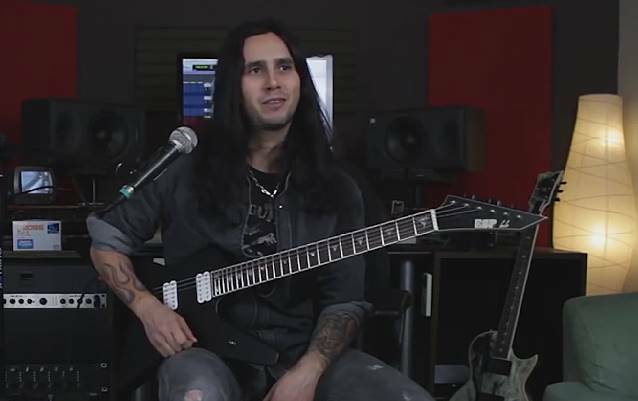 Gus G. has had an amazing rise within the worldwide rock and metal scenes and has amassed an impressive body of work, both in studio and touring. He emerged as an up-and-coming talent with the groups DREAM EVIL (Sweden), MYSTIC PROPHECY (Germany) and NIGHTRAGE (Greece), but it is his work with his own band FIREWIND (who have released seven studio albums and two live releases) and as a member of Ozzy Osbourne's band that have helped him emerge as one of the world's top metal and rock guitarists. His work on Ozzy's "Scream" album led to a Grammy nomination in 2010, and his list of accolades includes Guitar Player magazine's "Best Metal Guitarist," the "Dimebag Darrell Shredder" award at the Metal Hammer Golden Gods Awards, and Metal Hammer Greece "Best Guitarist" on four separate occasions.